We only have a month left between now and the global release of OnePlus 7 and OnePlus 7 Pro. This is according to the latest leak courtesy of Twitter user Ishan Agarwal. 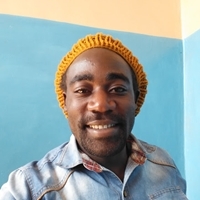 The tipster has been quite a revelation with a series of leaks in the recent past, including some strong performance with respect to already launched Samsung Galaxy S10 flagships, and is easily believable. 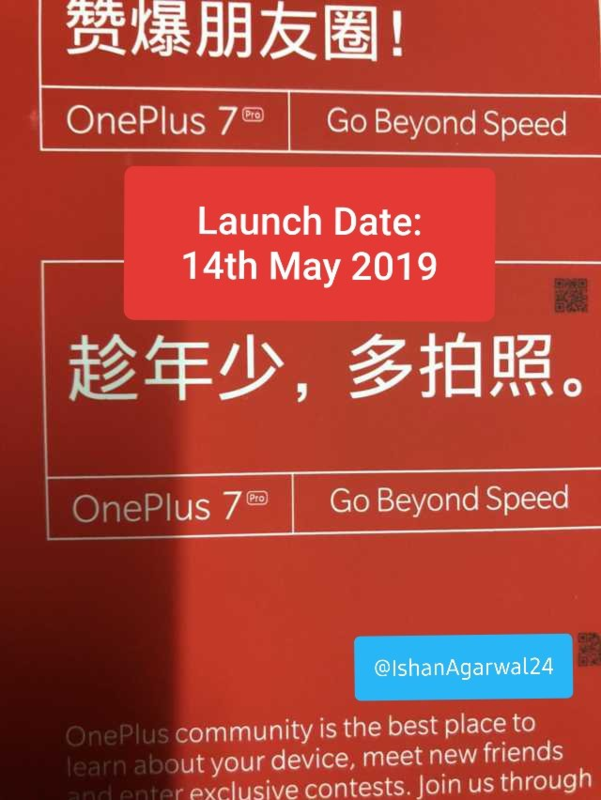 This isn’t the first time May 14 is popping up online as the expected release date for OnePlus 7 duo, though. However, the leaker now claims that this is no rumor but a confirmed date, only that it isn’t official from OnePlus. Ishan has further shared what appears to be marketing material for the launch event that includes the tagline Go Beyond Speed. This looks like a tagline OnePlus would pick for its upcoming flagship. After all, OnePlus phones are always about speed. The inclusion of a Pro variant in this material basically confirms what has been a rumor all along – that this time the standard model will get a Pro variant that could go head to head with the $1000 phones of this world. Although not official, it makes sense for OnePlus 7 and its Pro counterpart to get a May release date. The outgoing OnePlus 6 was released in May 2018, so it doesn’t surprise us that its successor is also being lined up for a similar release date.